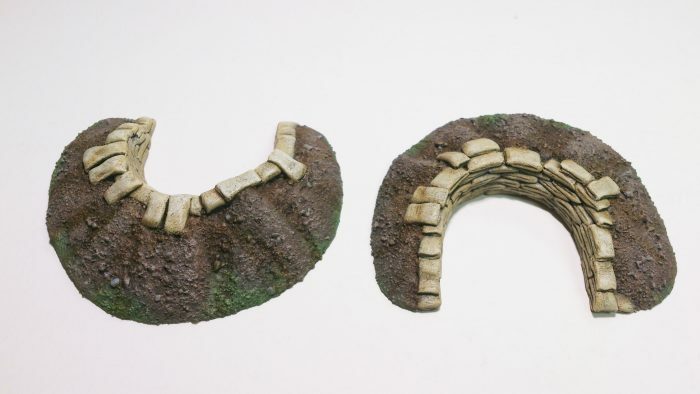 Cast in resin and suitable for 28mm or 1/56 scale figures. 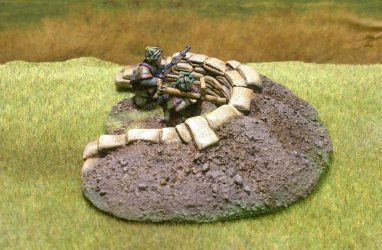 Large enough to accommodate a 45mm diameter base. 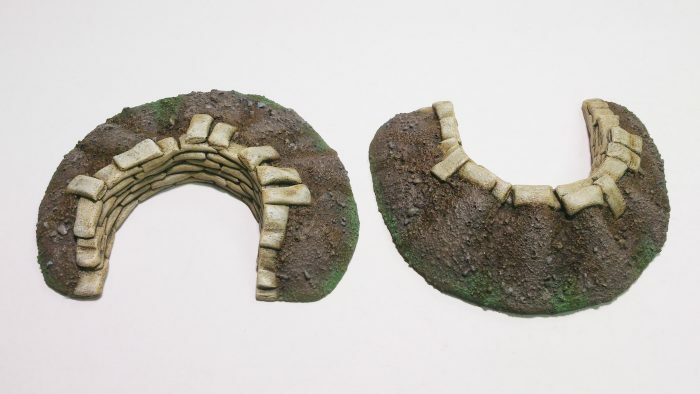 Each pack has two variants. 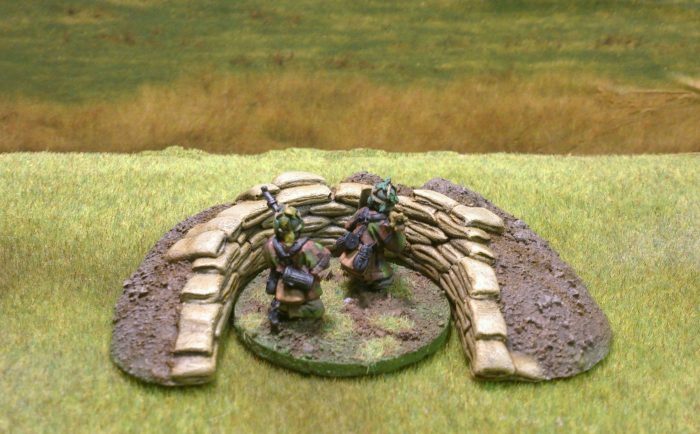 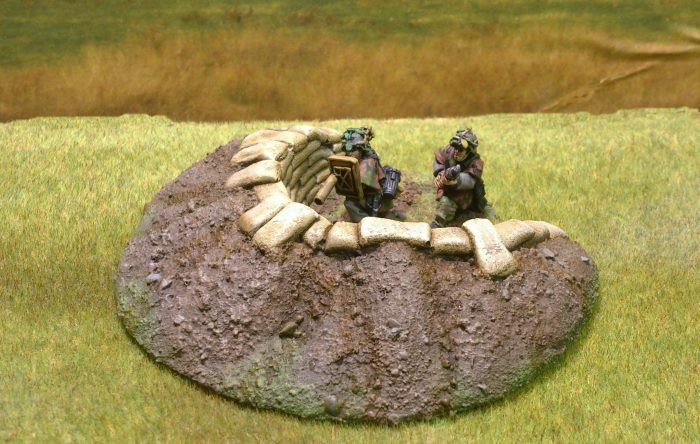 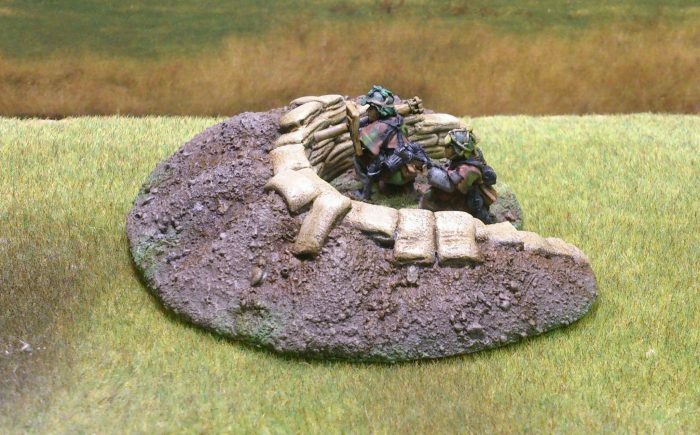 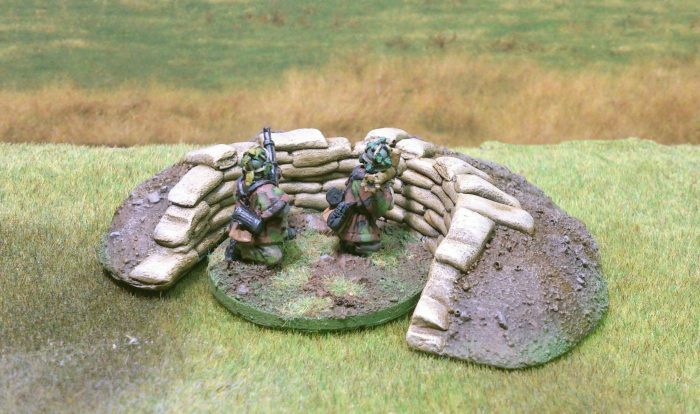 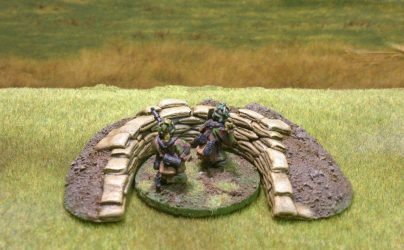 Give your two man teams some extra cover with these sandbagged craters. Perfect for bazooka/panzershreck positions or MMG’s, flamethrowers etc. 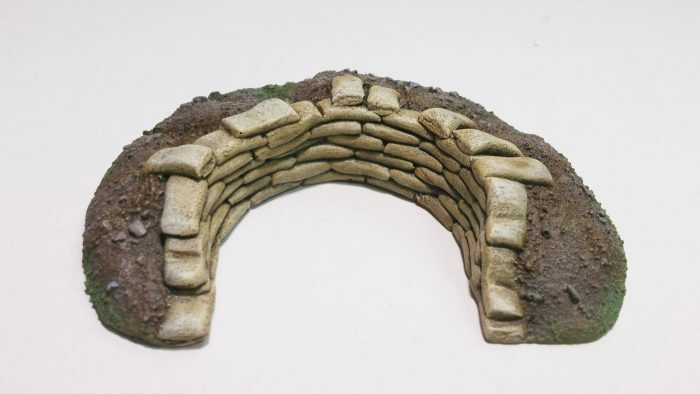 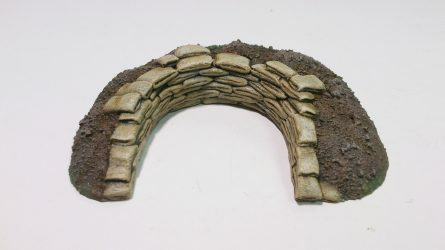 Supplied unpainted or painted as shown in the pictures.